Here at 10,000 Birds we have already reviewed Watching Sparrows, Watching Warblers, and Watching Warblers West. Somehow, we never got around to reviewing Watching Waders, another in the series of excellent films by Michael Male and Judy Fieth. Watching Waders is chock full of great footage, as one learns to expect after having seen other films by this talented duo, and well worth watching. Whether you like learning about bird breeding and behavior, adore baby birds, or just think that big wading birds are cool, this film is for you! An explanation of what this film covers seems in order here. 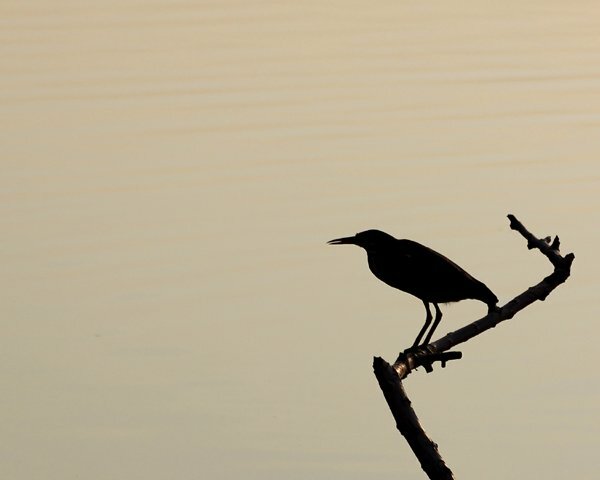 The regularly occurring, big wading birds of the United States and Canada – herons, egrets, bitterns, cranes, ibises, spoonbills, and limpkins – are all covered exceptionally well. Footage of them foraging, flying, and having family-time at their nests is included with narration from the two filmmakers that clearly explains what the viewer is seeing without becoming obtrusive. Of course, most birders will not need this film as an identification aid. The big waders are largely rather easy to identify and any confusion can be rapidly cleared up by a quick glance at a field guide. But is it worth watching for birders who know what all the big waders of North America look like? I would say yes, for several reasons. Some really cool bird behavior was caught on film by Fieth and Male. For example, did you know that sometimes Snowy Egrets catch fish while the egret is in flight? I didn’t until I saw footage of one such egret taking a short flight across a tidal creek and snagging a fish from the surface of the water on its way. Seeing a Great Egret snag a stick from a Roseate Spoonbill nest was entertaining too, and the narration explaining that spoonbills tend not to be aggressive in such situations made me wonder if it is because they are stuck bringing a spoon to what is, essentially, a knife fight. There are moments in the film when learning something isn’t necessary because the video is valuable aesthetically. Flocks of White Ibis in flight, the color of a breeding Reddish Egret‘s bill and lores, and just watching Roseate Spoonbills foraging are all this birder needed to know that Watching Waders is worth watching. Seeing forms of big waders that I have not yet experienced, like white-form Great Blue Herons and Reddish Egrets was neat. Add in tough-to-get footage of Least Bittern, neat footage like nestling Tricolored Herons reminiscent of muppets, and excellent transitions from one species to another like when a shot of Great Egrets and Snowy Egrets foraging together is used and you have an excellent film for birders. Will non-birders want to watch this? Probably not. Though individual scenes are definitely enjoyable the lack of an overall narrative or plot makes it unlikely that any but the most stoic of non-birders will want to sit through it. This is a movie for birders and birders only. All-in-all, this film is should be seen if you are a birder. 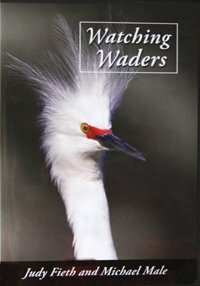 The excellent footage will make you yearn for some time in the marshes and give a more intimate view of the lives of our big wading birds. But if you have a non-birder present make sure that they have something else to occupy their time while you watch Watching Waders or risk their wrath. Disclaimer: I was provided with review copies of several films and Bird Films has also purchased advertising on 10,000 Birds. Thanks for the review Corey. I’ve wondered about this video for the last few years, debated whether or not I and my wife should buy it. We’ve enjoyed Watching Warblers and Watching Sparrows but part of their appeal was for help in identifying birds. As you say help with identification is not as necessary for these wading birds. So it’s very useful to see your evaluation of it for other purposes. Appropriately enough I saw the first Green Heron of the year a couple of days ago. It’s always nice to see these waders. Did Michael Male turn into Michael Moore in the fourth paragraph? Both filmmakers, but I’m not sure how good Moore is with his birds. FWIW, I ordered Watching Sparrows after the review here and was floored by the footage these two got. I absolutely want to get every video now. @Ken: Glad it was helpful. And I can’t wait for my first Green Heron of the year! @Kirby: Thanks for the catch…that is fixed now! And I’m glad my review convinced you – these videos are well worth purchasing.